My two-year-old toddler can scream the house down but he tends to get over things quickly. On the other hand, my four-year-old is a very anxious little soul and will need a lot of preparation, but I also don’t want to make a mountain out of a molehill. Sigh. I’m already picturing it – I’ll need to hold their little bodies tightly (one at a time, my husband will be in the waiting room with the other) while the scary doctor jabs their perfect skin. I already know there will be tears (probably from me, too). But how can I make it better? I’ve done my research and will be testing out the below tips. Wish me luck! 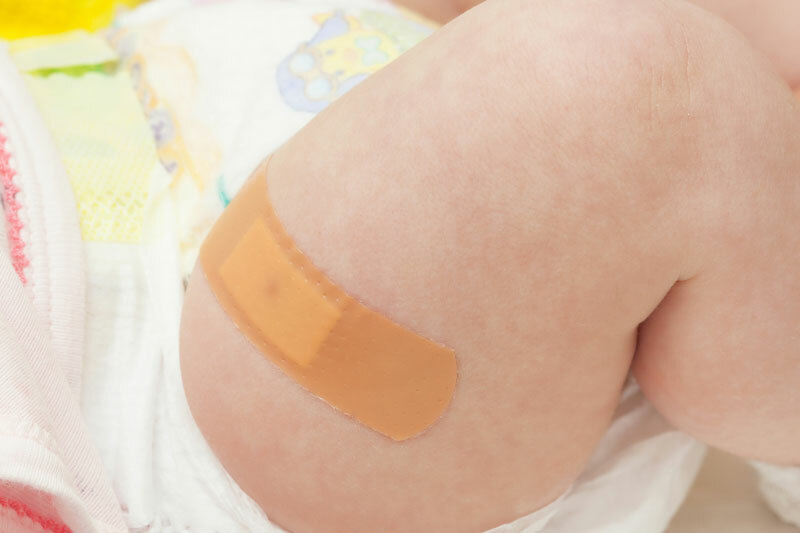 Apply a numbing patch – many mums swear by these stick-on anaesthetic patches that you can buy from the chemist. Apparently they are safe for bub and help to reduce the pain of the needle going in. You’ll need to apply it one hour before injection time onto bub’s thighs (as this is where the infant needles happen) to give it time to work. Also, leave it on for when the jabs are about to happen so your doctor knows which area is anaesthetised. Breastfeed – babies find breastfeeding soothing and comforting. Breastfeeding bub, before during and after vaccination is also said to help reduce your baby’s pain. Give the dummy or a bottle – if you aren’t breastfeeding, your baby will still appreciate sucking during the experience. Give lots of cuddles! Don’t underestimate the soothing power of your touch. Bring a favourite comfort item – my two-year-old has a blankie that he sleeps with. Bring whatever toy your little one is attached to. Talk to him – I’ll need to be honest here. I will tell him the needle will sting but that it will also help him from getting very, very sick. Bring a toy – I will bring his fidget cube to play with while in the doctor’s rooms. It might be a distraction. Cuddle your child – I’ll sit him on my lap. Stay calm – for his sake I will need to stay very calm. I don’t want him to sense any worry from me. Think about your language – I will try to avoid saying, “I know it hurts” or “It will be over soon” – apparently talking like this will only focus his attention on the needle and might make him more fearful. Tell him to breath – we will practice this before tomorrow. As deep breathing can help to reduce pain and distress, we’ll practice counting and breathing slowly tonight. I might also ask him to pretend he is blowing out the candles on his birthday cake when the needle goes in. Reward – I know some parents are anti rewards and dishing out the praise, but I think braving vaccinations calls for a babycinno – with a marshmallow. There’s a cafe downstairs from our doctor’s rooms and we’ll be visiting it after. 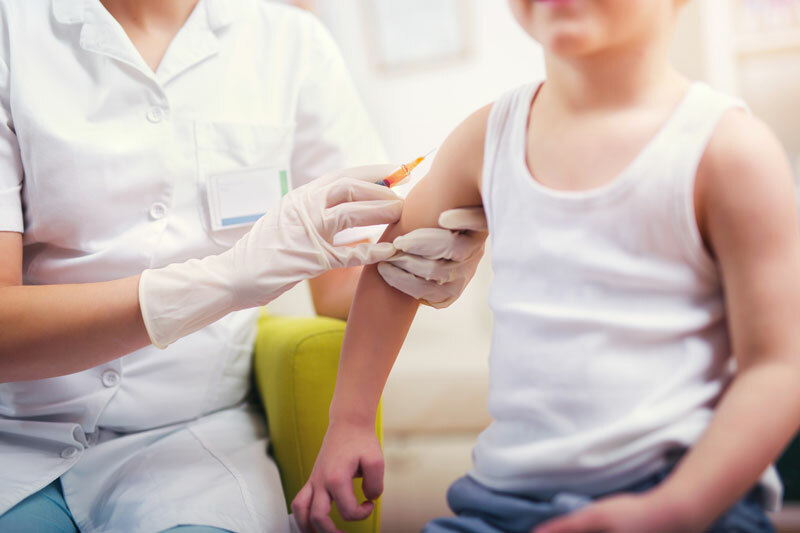 Note, it’s no longer recommended to dose little ones up on paracetamol before vaccination, due to the use of improved vaccines with fewer side effects. Apparently it doesn’t really reduce injection pain anyway. That said, if your little one has a fever afterwards or is showing signs of discomfort, paracetamol can help.